Lean Tip #813 - Celebrate the Work of Others. Celebrate your successes! Find ways to publicize your ongoing collaborative work, giving credit to those who have taken on new roles. As projects draw to a close, focus on the ways collaborative work has enhanced the customer and company. Use your celebrations to recruit new supporters and fortify future collaboration. In this way, collaboration becomes rooted in the company’s culture. 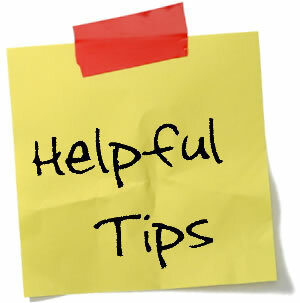 Lean Tip #814 - Keep Your Organizational Hierarchy as Flat as Possible to Foster Collaboration. Try to push decision making down to the lowest level of your organization. If you allow the people in your company who are directly connected to the problems that emerge, to be able to make decisions to fix those problems, you typically will get the best solutions. More succinctly put, the people who encounter the problems all of the time, usually know the best ways to fix the problems. We know that if you do not empower those who encounter the problems to be able to make decisions in how we fix them, then ultimately everyone just develops "work arounds" and the problem gets greatly delayed in being resolved. Lean Tip #816 - Establish the Core Values that Comprise the Continuous Improvement Culture. Ensure regular communications to foster collaborative interactions among leaders, stakeholders, and practitioners at all levels. Where needed, schedule face to face meetings and where not needed, use the communication and collaboration tools and capabilities of the enterprise to keep all members updated and involved. A consistent and structured approach for project identification and execution will provide the organization with the ability to identify, select, and manage continuous improvement projects. It should also provide post-closing process steps to continually refine the improvement project methodology and to act upon the lessons learn from the project effort. Create a culture that continually looks to improve processes — even ones that aren't broken. Through lean you will learn to look at things differently and develop an eye for improvement. The key is to get as many “eyes for improvement” as possible. Lean Tip #822 - Teach Others What You Learn. One of the best ways to deepen and solidify your new knowledge is to teach it to others. Give a presentation, run a seminar, teach a class, or volunteer to run a small internal workshop to teach others in your organization what you are learning. Real learning occurs when you share it. Explain the long-range plans of the company and reinforce them regularly. People often become so focused on today's problems and routine duties that they lose sight of the big picture. When some members of the team concentrate on putting out fires, others can dedicate more time to reviewing processes to eliminate future problems. Team building starts at the top. If senior executives encourage an environment where the organization uses less "I" and more "we" in how they communicate, everyone will feel supported, included and important to the organization. This eliminates an employee's fear of standing alone and shows that the entire organization is thinking about the company. The worst organizations are those that think good ideas or successful programs only come from senior-level individuals. Conversely, good organizations encourage creative thinking from all levels and give credit when a creative idea or solution comes from junior or mid-level employees. This is one of the most crucial components of developing a teamwork-based culture.